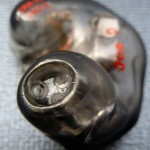 I found DRM Earz while scouring the internet for custom IEM companies for my manufacturer resource and was surprised no one on head-fi had found them yet. I decided to shoot them an email and find out more. 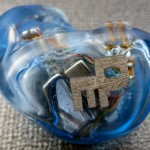 Mitch Marcum, a performing musician, runs DRM Earz and was skeptical about head-fi at first since he wasn’t sure if his products were head-fi quality. He has an active ambient system that seemed interesting, but he only makes that with his single driver and thought his dual driver would be better. We had a few discussions and then he let me know about the 4X, so I decided to buy one for review. It arrived and I really didn’t like, which I mentioned to him. He asked what was wrong, so I told him and he said he would work on it. Back they went. He made improvements and sent me a new 4X which sounded much better, however, in his haste to get it back out to me, one of the drivers wasn’t attached to the shell which was discovered with a 10 inch accidental drop. So back they went again. I mentioned that the 4X wasn’t as spacious sounding as much of the competition, so he made them more spacious, but at the expense of midrange tonal quality, so back they went. 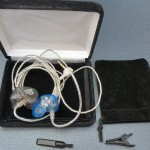 This time he took his time and what came back was the Audio Earz AUD-5X custom in-ear monitors by Dream Earz! Even though the AUD-5X is marked with 4X, they did not end up going back. Ordering is simple from the website and Mitch will contact you with the steps necessary to get your monitors. The order options are listed on the order form page. While Mitch is out most nights playing with the band he is very responsive and accommodating and wants to get things right! The AUD-5X comes with a 1 year warranty against manufacturer defects and a 30 day fit gaurantee. The AUD-5X has a single sub-bass driver, dual bass drivers, TWFK with an internal crossover for the midrange and treble. There are 3 sound tubes which are recessed so wax will not go down the sound tubes. The socket is flush for the detachable cable and uses the standard Westone/JHA sockets, allowing use of many aftermarket cables. The AUD-5X comes with a case, pouch, and cleaning tool. The case is not a typical hard case, but a case that I would expect to see for jewelry or a watch. The case is functional and has grown on me over time. It is easy to use and when put in my briefcase, it offers ample protection. 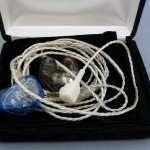 The cable is the standard silver custom IEM cable. The cable will oxidize and turn green over time. 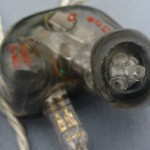 You can see more information about cables here. 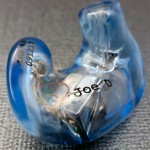 Build quality of custom in-ear monitors is typically good, as the acrylic shells are durable and well formed, and the AUD-5X is no different. Fit and finish is middle of the pack, and typical for this price range. There are some minor bubbles in the shell, but they are difficult to see unless you are looking for them. 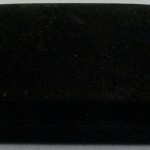 The sound tubes are in a recessed cavity for wax buildup resistance, and the finish is good. I requested a silicone fill in the canal portion in an attempt to increase isolation, which is slightly better than a typical acrylic shelled custom IEM. The isolation rating is a 6/10. The aud-5X received 100+ hours of burn in as is customary before I do my serious listening. You can read about my technique here. I used the wx i9pro, SA-12, Infinity X3, TS842, Fabs, and Mi-3 for comparison since they are all in a similar price category. 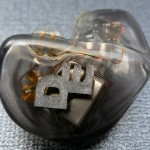 ** NOTE ** Due to my perspective and comparisons with similarly priced headphones and use of higher priced custom IEMs negative aspects are very apparent to me and many people will never notice the weaknesses I mention. Before the burn when I listened to the 5X I was immediately impressed, which many times is not the case. It was hard just leaving it there to burn in as I wanted to see how it stacked up, but I did give it the time before I started my serious review listening. Bass: Strong and deep, the bass is very well controlled, enhanced, and powerful. The i9pro and TS842 have more sub-bass rumble but the differences aren’t all that much as the 3 dedicated BA bass drivers perform quite well and offer a tighter sound than the dynamics. 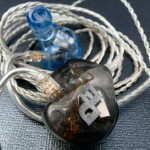 The aud-5X has more sub-bass capability vs. any BA custom IEM I have heard priced below the JH16. Texture and tone are very good with a very natural decay while still being able to offer exceptional punch and good speed depending on the type of bass note being reproduced. Both electronic and natural instruments sound great and while there is enhancement, it isn’t a continuous enhancement like the JH16 or i9pro, but the headroom in the bass region shows with songs that have a lot of bass energy. While not natural in terms of warmth, the sound isn’t overly warm but still conveys a sense of richness. Warmth is less than the i9pro, Mi-3, and X3 while having more than the Fabs, TS842, and SA-12. The warmth is closest to the LS8 on the higher end, and more than the JH16 and less than the EM3 Pro. Bass depth is very good and in my ears the bass started to roll off gradually at 24 Hz and I could sense down to 17 Hz with test tones. Midrange: The midrange is a little forward, but not too much with a little increase in the upper midrange giving a nice, natural tone to vocals. 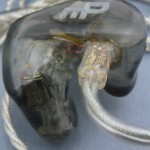 Clarity is very good for the price range and outclasses all other custom IEMs I have heard in the price range. Detail is conveyed quite well although the level of detail isn’t quite up to par with the higher end competition, but is at least equal to, if not better than most of the competition in the price range. 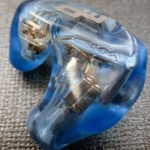 Tone is similar as it is good in comparison with the other custom IEMs in the price range but sounds a little off vs. some of the higher end competition. Imaging and transparency of the midrange is very good and the ambiance of presentations is recreated quite well for the price. This is due to the accuracy of placement and proper soundstage proportions which translate to a very engaging and realistic overall sound. Treble: The treble has nice extension with roll off detected at 16.5K and extension out to 18K. The treble is smooth and refined and well matched with the rest of the spectrum in note attack and decay. While not the most detailed treble, there is a decent amount, falling in the middle of the pack when compared with others in the price range. Those that want treble but don’t like harsh treble should not be left wanting more or less as the balance achieved is very good; never too bright, too dark, or too forward. The extension gives a good sense of air and allows cymbals to really shine and shimmy and the extension adds to the overall imaging. Presentation: The 5X is very transparent giving you a very good window into the mastering/recording and your source gear which leads to a wide variation in sonic signature depending on the track and your equipment. Coherence between drivers is very good as the note thickness, which is slightly on the thicker side of the neutral, is exceptional and has the same attack and decay from top to bottom. 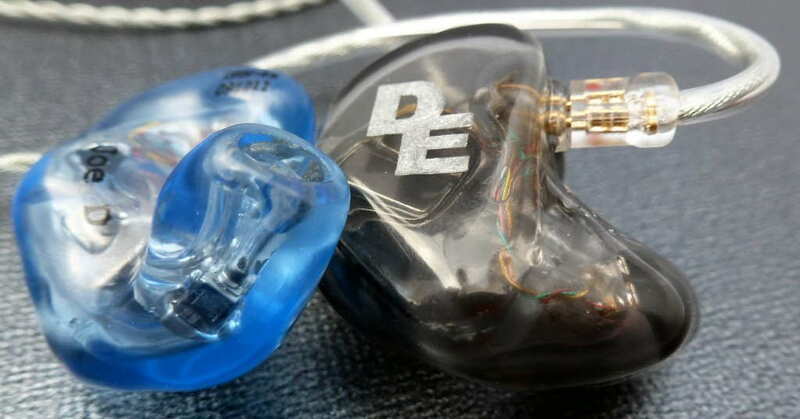 The ability of the 5X to disappear is exceptional for the price range and clarity is very good but is also very dependent on the source/track, much more so than most custom IEMs. Soundstage presentation is very good at this price point with an exceptional 3D space that has what sounds like correct proportions in depth, width, and height, competing with higher cost IEMs in this category. While size of the soundstage isn’t as good as the i9pro, it is on par with the Infinity X3, just edges out the TS842, and is larger than the rest all with a better 3D space compared with all save the i9pro which is just different. Instrument separation, placement, and the presentation of black space both are very good. 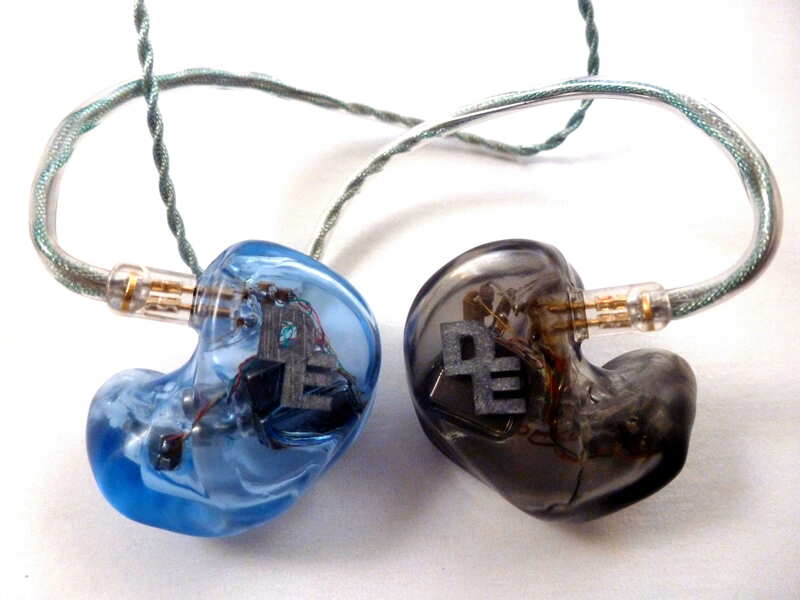 Compared with higher end custom IEMs such as the UERM, LS8, and SE 5-way, the 5X is smaller overall, but not by a large margin. However the JH16 and SA-43 do have a larger advantage, but the 5X does have a more 3D presentation compared with the JH16. Note decay is a little on the thicker side of neutral, but not enough to make the presentation thick. Dynamics in the bass and midrange region are very good and they are about average in the treble region. While the 5X is tight as are most balanced armatures, the note thickness doesn’t give it the sense of speed that something like the TS842 has, however it doesn’t lack speed and can adapt to fast recordings due to the transparency. Volume performance: The 5X has adequate bass performance at very low volumes and performs within the top group of BA custom IEMs for low volume bass performance. Once the volume is at a low-moderate level the bass kicks up a notch. At louder volumes the overall sound is still very listenable and the treble non-offensive, having better than typical performance for the price range. Sensitivity is on the higher side, but not to the level of the JH16 or LS8 which results in less analog volume pot issues and less hiss problems.